Verizon is working to buy Vodafone's 45 percent stake in Verizon Wireless for $130 billion, essentially ending the joint venture. Now, the company has recently received the appropriate approvals from the Federal Communications Commission to push forward with its acquisition. "Specifically, the FCC approved Verizon's foreign ownership petition should post-closing foreign ownership of Verizon Wireless exceed 25 percent, and entered its consent to certain pro format license transfers," Verizon explained. 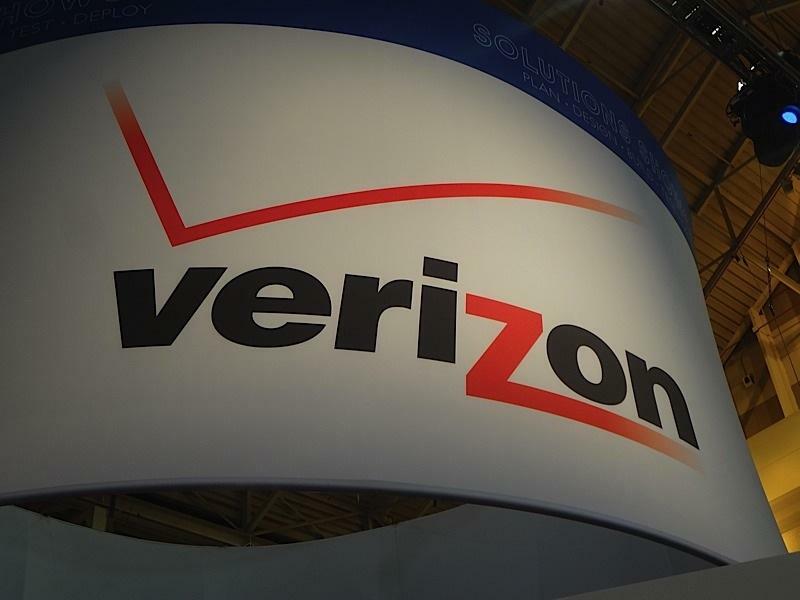 Following the deal, Verizon Communications will have complete control over Verizon Wireless, relieving Vodafone of any interest in the wireless carrier. The FCC's approval isn't the final barrier, however. Shareholders from both Vodafone and Verizon Communications will need to give the acquisition a nod of approval first, though Verizon says it's confident the deal will finalize by the end of the first quarter of 2014. NEW YORK, Dec. 4, 2013 /PRNewswire via COMTEX/ — Verizon Communications Inc. (NYSE, Nasdaq: VZ) today announced that it has received the approvals needed from the Federal Communications Commissionto acquire Vodafone's U.S. group with the principal asset of 45 percent of Verizon Wireless. Specifically, the FCC approved Verizon's foreign ownership petition should post-closing foreign ownership of Verizon Wireless exceed 25 percent, and entered its consent to certain pro forma license transfers. Randal Milch, executive vice president – public policy and general counsel of Verizon, said: "We thank the FCC for its quick action in approving our transaction with Vodafone, which will provide Verizon with 100 percent ownership of Verizon Wireless and a boost to one of the most important sectors of the U.S. economy. This application approval also marks the first use of the streamlined foreign-ownership review procedures that the FCC adopted earlier this year, and we are grateful to the commission for its commitment to process reforms that benefit wireless carriers and the customers we serve." Milch continued, "Over the past 13 years Verizon Wireless has focused on meeting consumer needs through innovation and network reliability to become the premier mobile provider in the U.S. Full ownership of Verizon Wireless strengthens our ability to provide an outstanding consumer experience with advanced mobile devices, first-in-our-class network quality and reliability, and new products and services that leverage and integrate our global communications technologies." The transaction remains subject to customary closing conditions, including the approval of both companies' shareholders. The transaction is expected to close in the first quarter of 2014. ADVERTISEMENTThis communication is deemed an advertisement for the purposes of the U.K. prospectus rules and is not a prospectus or a prospectus equivalent document. Any decision to subscribe for, purchase, otherwise acquire, sell or otherwise dispose of any Verizon Communications Inc. shares must be made only on the basis of the information contained in and incorporated by reference into the U.K. prospectus expected to be published by Verizon in connection with the proposed transaction with Vodafone Group Plc. Copies of the U.K. prospectus will be available from Verizon's registered offices and on Verizon's website at www.verizon.com/investor. FORWARD-LOOKING STATEMENTSIn this communication we have made forward-looking statements. These statements are based on our estimates and assumptions and are subject to risks and uncertainties. Forward-looking statements include the information concerning our possible or assumed future results of operations. Forward-looking statements also include those preceded or followed by the words "anticipates," "believes," "estimates," "hopes" or similar expressions. For those statements, we claim the protection of the safe harbor for forward-looking statements contained in the Private Securities Litigation Reform Act of 1995. The following important factors, along with those discussed in our filings with the Securities and Exchange Commission (the "SEC"), could affect future results and could cause those results to differ materially from those expressed in the forward-looking statements: the ability to realize the expected benefits of our proposed transaction with Vodafone in the timeframe expected or at all; the ability to complete the Vodafone transaction in the timeframe expected or at all and the costs that could be required to do so; failure to obtain applicable regulatory or shareholder approvals in connection with the Vodafone transaction in a timely manner or at all; failure to satisfy other closing conditions to the Vodafone transaction or events giving rise to termination of the transaction agreement; an adverse change in the ratings afforded our debt securities by nationally accredited ratings organizations or adverse conditions in the credit markets affecting the cost, including interest rates, and/or availability of further financing; significantly increased levels of indebtedness as a result of the Vodafone transaction; changes in tax laws or treaties, or in their interpretation; adverse conditions in the U.S. and international economies; material adverse changes in labor matters, including labor negotiations, and any resulting financial and/or operational impact; material changes in technology or technology substitution; disruption of our key suppliers' provisioning of products or services; changes in the regulatory environment in which we operate, including any increase in restrictions on our ability to operate our networks; breaches of network or information technology security, natural disasters, terrorist attacks or acts of war or significant litigation and any resulting financial impact not covered by insurance; the effects of competition in the markets in which we operate; changes in accounting assumptions that regulatory agencies, including the SEC, may require or that result from changes in the accounting rules or their application, which could result in an impact on earnings; significant increases in benefit plan costs or lower investment returns on plan assets; and the inability to implement our business strategies. NO OFFER OR SOLICITATIONThis communication does not constitute an offer to sell or the solicitation of an offer to buy any securities or a solicitation of any vote or approval nor shall there be any offer or sale of securities in any jurisdiction in which such offer, solicitation or sale would be unlawful prior to registration or qualification under the securities laws of any such jurisdiction. No offer of securities shall be made except by means of a prospectus meeting the requirements of Section 10 of the Securities Act of 1933, as amended, or pursuant to an exemption from the registration requirements thereof. IMPORTANT ADDITIONAL INFORMATION WILL BE FILED WITH THE SECVerizon Communications Inc. has filed with the SEC a registration statement on Form S-4 containing a preliminary prospectus with respect to the Verizon securities to be offered in the proposed transaction with Vodafone (the "preliminary prospectus"). Verizon has also filed with the SEC a preliminary proxy statement with respect to the special meeting of the Verizon shareholders to be held in connection with the proposed transaction (the "preliminary proxy statement"). The registration statement on Form S-4 has not yet been declared effective and the preliminary prospectus and the preliminary proxy statement are not yet final and will be further amended. VODAFONE SHAREHOLDERS ARE URGED TO READ CAREFULLY THE PRELIMINARY PROSPECTUS AND VERIZON SHAREHOLDERS ARE URGED TO READ CAREFULLY THE PRELIMINARY PROXY STATEMENT, EACH TOGETHER WITH OTHER RELEVANT DOCUMENTS FILED OR TO BE FILED WITH THE SEC, IN THEIR ENTIRETY WHEN THEY BECOME AVAILABLE BECAUSE THEY CONTAIN OR WILL CONTAIN IMPORTANT INFORMATION ABOUT THE PROPOSED TRANSACTION AND RELATED MATTERS. Investors and shareholders can obtain free copies of the preliminary prospectus, the preliminary proxy statement and other documents filed with the SEC by the parties through the website maintained by the SEC at www.sec.gov. In addition, investors and shareholders will be able to obtain free copies of the prospectus, the proxy statement and other documents filed with the SEC by Verizon by contacting Verizon's Assistant Corporate Secretary, Verizon Communications Inc., 140 West Street, 29th Floor, New York, New York 10007. These materials are also available on Verizon's website at www.verizon.com/investor. PARTICIPANTS IN THE SOLICITATIONVerizon, Vodafone and their respective directors and executive officers may be deemed to be participants in the solicitation of proxies from the shareholders of Verizon in respect of the proposed transaction contemplated by the proxy statement. Information regarding the persons who are, under the rules of the SEC, participants in the solicitation of the shareholders of Verizon in connection with the proposed transaction, including a description of their direct or indirect interests, by security holdings or otherwise, is set forth in the preliminary proxy statement filed by Verizon with the SEC. Information regarding Verizon's directors and executive officers is contained in Verizon's Annual Report on Form 10-K for the year ended December 31, 2012 and its Proxy Statement on Schedule 14A, dated March 18, 2013, which are filed with the SEC. Information regarding Vodafone's directors and executive officers is contained in Vodafone's Annual Report on Form 20-F for the year ended March 31, 2013, which is filed with the SEC.